As a working mom, we have lots of challenges. As we work, our tasks at home are the same. We still, of course, have to make sure that ERRYTHING is taken care of from the food shopping, chores around the house, kids , hubby and all the feedings, bath time shenanigans and school work! At times, our daily chores at home and keeping the house organized can seem impossible. Although work schedules can be crazy, the house work will always be there (lucky for us!). 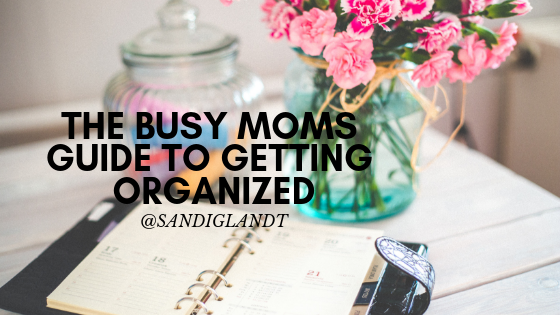 So I want to share with you some of my ‘mom hacks’ that help me stay organized. Do not channel Superwoman. We can not do everything in a day, but we can do a little bit of everything. It’s just a matter of time management and consistency. Get rid of the unwanted (and unused) clutter that takes up space in your home and that you never use anyway. This just takes up more time to clean and space. Have a quick check list of things to do every night before you go to be. Mine includes: running the dishwasher, throwing one load of laundry into the dryer (I put a load in the washer at dinner time), wipe down the counters, put all the toys away from the day (your kids can help you with this if they are old enough). To start your day off on the right foot and have a successful morning, its best that your home be picked up and organized from the day. You can wake up without stepping over toys, laundry on the floor and quite frankly a mess from the day before. This will make a huge impact on how you start your morning the next day in a good mood. Quickly declutter your bathroom in 15-20 minutes. Put clothes in the hamper, wipe down the counter and put away anything that is on the counter that should be put away. Arrange anything that’s been placed into the wrong spot. Break your tasks down into time increments. What can you get done in 15, 30 minutes or an hour? Time block your tasks out and get a little done at a time. These small steps will help to make a BIG difference! By doing these things and setting a good example, we are showing our kids how to stay organized, how to pitch in and help working as a team, as well as setting a great example for them to grow up with these skills. What tasks for organizing or cleaning do you implement in your home? Do you have your kids help with age appropriate chores around the house? For smaller kids- putting away utensils or picking up their toys is great and for the bigger kids they can clean up their room, take out the trash or even mow the lawn/ help with some yard work. Comment below and let me know how you implement this in your home and if these tips have helped you! 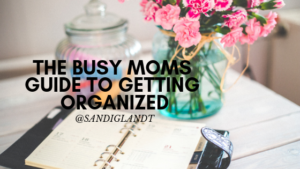 For more tips on organization, time management hacks, productivity and more head over to The Modern Moms Club FB page and connect with ME and other mamas on a mission to get more done and be fulfilled as moms and working boss babes!